Are you interested in making extra money on the side? 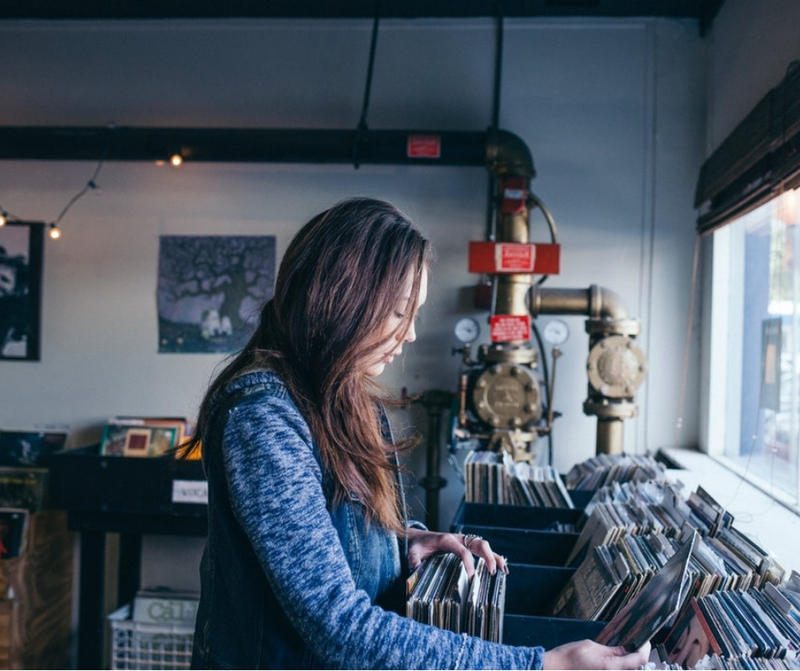 If you enjoy hunting for hidden gems at flea markets, garage sales, or antique shops, then you may want to consider turning your hobby into a side hustle. Flea marketing flipping can be a great way to make money in your spare time. With the growing popularity of Marie Kondo’s book, The Life-Changing Magic of Tidying Up, more and more people are decluttering their homes and donating items. It’s no surprise this is good news for flea market flippers! Now is one of the best times to learn how to make money by flipping things for profit. As a flea market flipper, you buy items at a lower cost from one market (such as a thrift store) and then resell it for profit in another market (such as eBay or Facebook). One of the best parts about making money as a flea market flipper is you can set your own hours and make money doing something fun. Plus, it has the potential for you to earn enough to pay off debt faster, save more money, or have the opportunity to work full-time for yourself. I know this is a dream shared by many Mint Notion readers. Does flea market flipping sound like a good fit for you? Learning how to make money online can be tricky. That’s why I put together this resource to share a legitimate way you can make extra money on the weekend. Whether you’re looking to make an extra few hundred dollars or a few thousand dollars each month, use these tips to help you get started flipping items for profit. What is flea market flipping? What qualifications do you need to buy and sell items for profit? So, what kind of items should you look for at flea markets? How do you find out which items are valuable before purchasing them? How much money can you make flipping items for profit? Still not sure if Flipper University is right for you? Most people are familiar with real estate flipping, but there are many different items you can buy and resell for profit. For example, today you’ll learn how it’s possible to make money doing this with items you can find at thrift stores, auctions, yard sales, and flea markets. Flea market flipping is the process of buying items from places like yard sales for low prices, and then selling them online using eBay, Craiglists, Facebok, or others selling sites for profit. This means you have the potential to turn $100 into $1,000 or even $10 into $1,000. I know many people are interested in starting their own side hustle, such as flipping stuff online, but say they “have no money”. The great part about flea market flipping is that you can even find hidden treasures on the Craiglist “free” section. This makes it easier than ever to get started making extra money. Still interested? Yeah? Ok, let’s do this! The good news is that you don’t need to have a college degree or any business education to make money flipping things for profit. Yep, this means that anyone can learn how to get started with flea marketing flipping. According to Rob and Melissa, the masterminds behind FleamarketFlipper.com, there is not really one “type” of item to look for. Instead, they have found success selling all sorts of different things. For example, Rob says he likes to search for items that look interesting, expensive, or weird. Then he’ll research it and find out if it’s really expensive or not. While he’s happy to sell anything that will turn a profit, Rob likes to focus exclusively on items that will make at least $100. Otherwise, it’s not worth his time. His wife, Melissa, likes to look for quality baby items or exercise equipment. She’s a personal trainer and a mother of three young girls, so she tends to gravitate towards these types of items. They both try to find items for $5-$50, however Rob is willing to spend more if the potential is there to make a great profit. If an item looks expensive or interesting, Rob and Melissa recommend searching for it on Google to see what it retails for. This can give you an idea of its value. With over 20 years of flipping items, they’ve gotten an education through experience on what to look for when buying and reselling things. The amount you make can depend on a lot of factors. In 2015, Rob and Melissa made $42,000 on the side, working between 5-15 hours per week. In 2016, Rob and Melissa made $133,054 in sales flipping flea market, thrift store, and yard sale items. They more than tripled their 2015 income ($42K). Rob used his 20 years of experience buying and reselling items to master his “buy low, sell high” model and turn it into a full-time 6-figure operation. Both Rob and Melissa now work full-time flipping items, spending an average of 20-25 hours per week on their business. They believe this is something anyone can learn how to do. Whether you’re looking for some extra spending money or to build a full-time business, you can make enough money to help pay off debt faster or add more freedom to your life. Could you imagine? What would you do with an extra $500, $1,000, or even $5,000 a month? Check out 3 of the flips Rob and Melissa did from this past year! Working as a flea market flipper can have a number of life-changing benefits. Many people are looking to become a stay-at-home mom or dad, but still want to find a way to make money for their family too. Working from home flipping items for profit might be the perfect opportunity for you. MORE FLEXIBILITY – Be able to create your own schedule. Work alone or choose to work with your family and friends. FINANCIAL SECURITY – You have the potential to earn enough money to stop living paycheck to paycheck, save money for your future, pay off debt faster, and afford to travel more. Do you want to start living a more financially free life? Learn how to get started making money flipping things here. While anyone can get started buying and reselling stuff online, learning from someone who has over 20 years of experience can certainly give you a HUGE advantage. Especially if you want to avoid wasting time with the trial and error approach and earn a decent income, faster. Rob and Melissa, over at Fleamarket Flipper are some of the most savvy and experienced flippers I know. 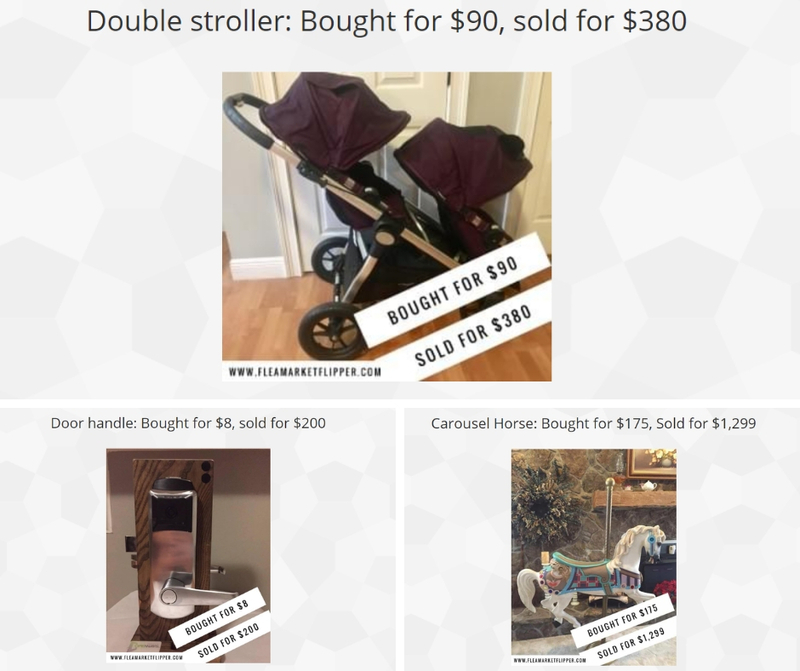 They’ve turned their hobby of flipping used items into a profitable six-figure operation. Now they’ve complied all their knowledge into a comprehensive course: Flipper University. They’ll teach you the basics of how to buy and resell items to make sure you’re a skilled flipper superstar! After you’ve mastered these skills, Rob and Melissa will show you how to turn this newfound knowledge into and thriving and profitable business. You’ll walk away from this course knowing exactly how to find items that will sell for high profit online, how to get your listings on eBay and social marketplaces seen, and to become a Top Rated seller so you can rise above the competition. Sounds like high-value stuff, right? Almost all of their course graduates have amazing success stories. This can be the perfect opportunity for someone who’s motivated to find hidden treasures and make extra money on the side (or even work for themselves full-time). I can understand if you’re not ready to jump headfirst into this. There’s no doubt this course can help accelerate your success as a flea market flipper, but maybe you still have some questions. How do you go from knowing nothing about flipping stuff to reselling items for profit and making money? Most online courses don’t teach you the part where you actually go out into the real world and apply what you’ve learn. This is what makes Rob and Melissa’s course so valuable – because a big portion of the course is dedicated to helping you find the best items to flip and how to sell for high profit online. That’s why many of Rob and Melissa’s course graduates have been so successful. When you enroll in their course, you’ll gain the skills needed to succeed as a flea market flipper, PLUS you’ll learn how to not lose money on shipping so you can create a profitable business. Don’t just take my word for it, though. I recommend checking out their free workshop (details below). Information about themselves, so you can get to know your teachers. 5 signs flipping/ reselling items could be a perfect fit for you. Their workshop is completely free to join. You can sign up here. 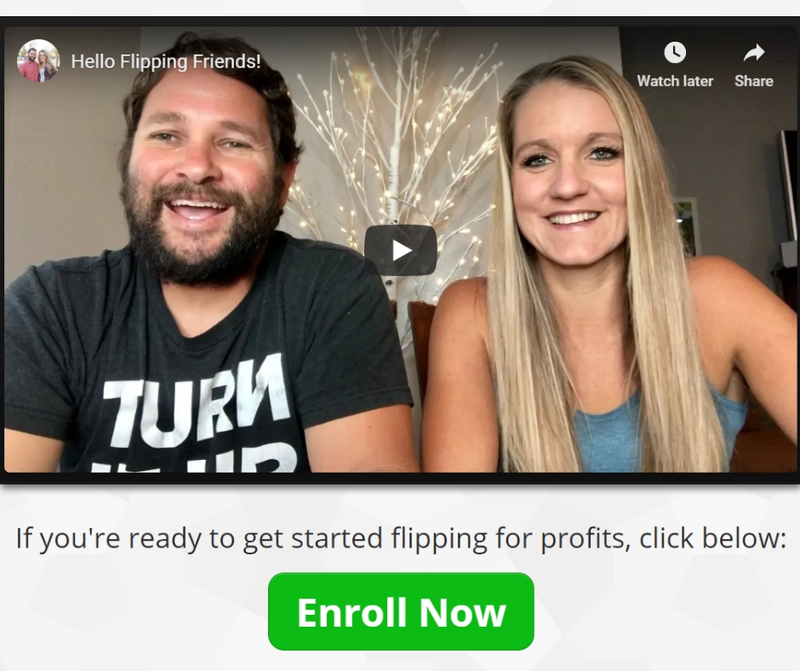 I was inspired by Kelly’s story, who now makes $5,000 per month on her flipper side hustle after completing Rob and Melissa’s flipping course. She’s a single mother who went from working two jobs to finding great success with her new flipping hustle. The inspiring part is that she signed up for Flipper University in October 2018 and started making profit immediately. By Christmas 2018, she was making a solid $1,000 extra a month putting 10 hours of time into it. This allowed her to stop working overtime at her day job and make more money from her flipping business. Before Kelly enrolled in Flipper University, she naturally had fears, especially about shipping. But once she joined the course, she felt more confident. And after selling and shipping a couple of items, she couldn’t believe how easy it was to do! With the right training and tools, you too can make some good money with just a few flips. 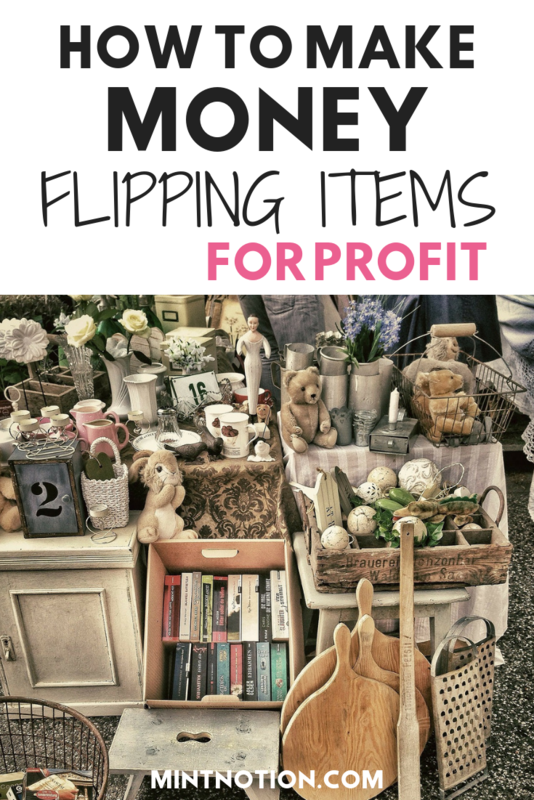 Flipping things for profit isn’t for everyone, but if you enjoy hunting for hidden gems at yard sales, flea markets, or thrift stores, this can be a great fit for you. Ready to kick-start your reselling business? Start by checking out Rob and Melissa’s online training here. Yeah, I used to work at a thrift store in college and found so many great clothing finds there. Many pieces still had the original price tag attached, making it a great deal. Thanks for reading Kelsey!